Brent Willoughby from the Waihi Association Football Club caught up with Brian Gentil and covered the results of the Waihi men’s and women’s games last weekend. Both suffered losses, while also scoring some good goals. Brent mentioned they’d love a few extra players, especially the women who are after a coach as well. The women train on Wednesday nights, the men on Tuesday and Thursdays. Turn up at training or get in touch with us at Gold FM and we can pass on contact details. They also talked about the Waihi College teams; again they’re after more players, as they prepare for their season which gets underway at the start of Term 2. Brent and Brian looked at the latest results of the English Premier League, with just a few rounds to go it’s very tight, and the teams to play off for the F.A. Cup are Manchester City and Watford. To listen to the podcast just click our podcast link. 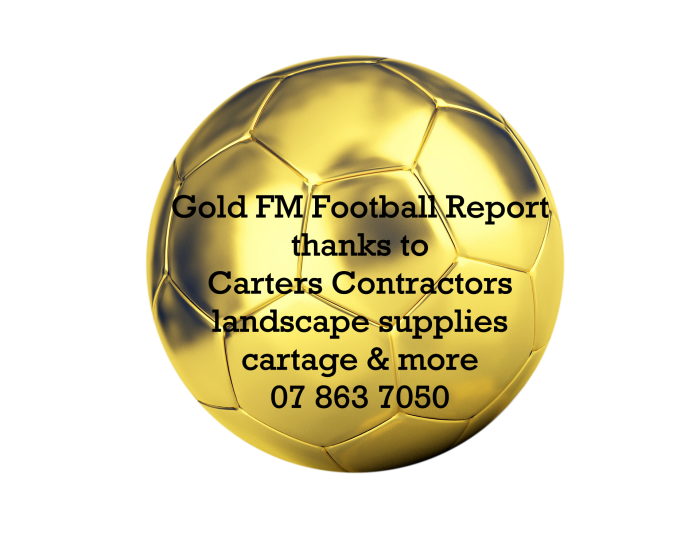 Thanks Carters Contractors - your one stop shop for landscape supplies and cartage, for supporting football.